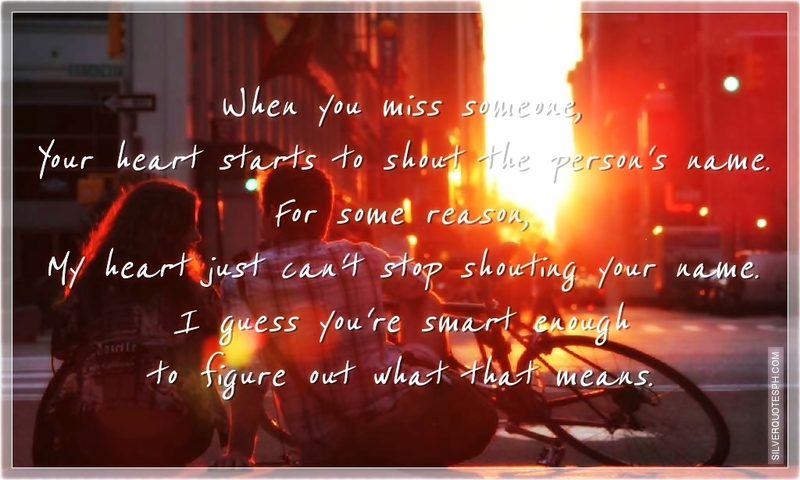 When you miss someone, Your heart starts to shout the person's name. For some reason, My heart just can't stop shouting your name. I guess you're smart enough to figure out what that means.